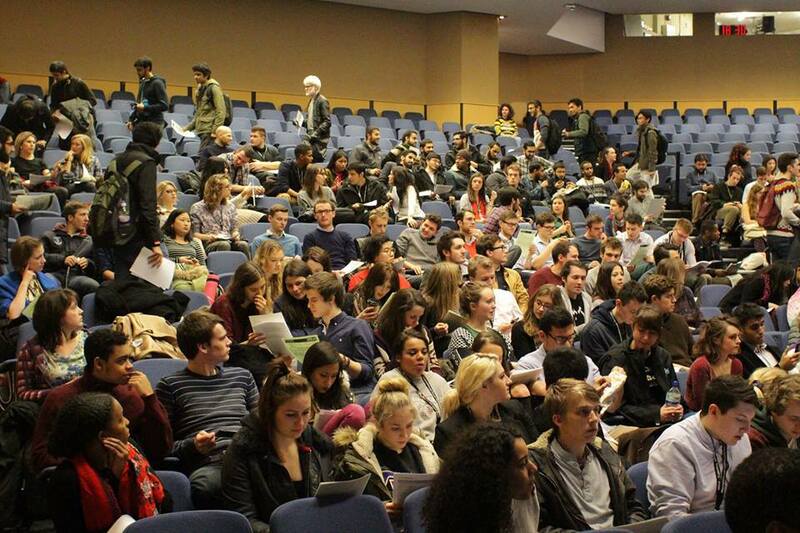 On January 20 we will be back in Logan Hall debating what Sabbatical Officer roles should represent you next year. Members of UCL Defend Education have put forward Proposal 5, which proposes four full-time Liberation officers, including a new LGBT+ and Disabled Students’ Officer, whilst maintaining post-graduate, activities and education support. Read the full motion here and the full details for the meeting on our event page here. This is also an action in opposition to a proposal that would have UCLU reduce its total number of full-time officers to 7, without adding any officers to fight for the rights of liberation groups. A photo from the last General Assembly, December 2014. 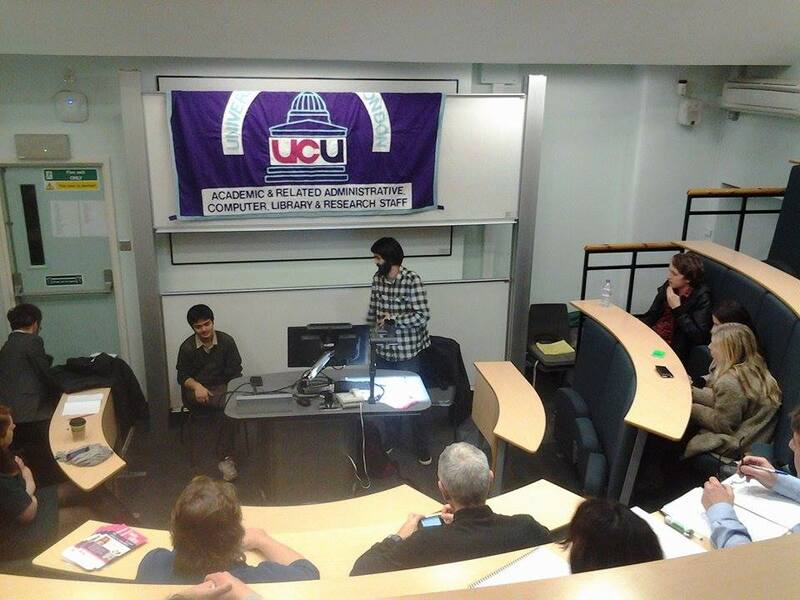 Join the January Assembly to help vote for more liberation officers at UCLU! All you need to vote is your UCLU ID, so don’t forget it and don’t miss out on having your say! Registration opens earlier at 5.30pm and there are fewer motions, so is expected to be a relatively short assembly. If it passes, our proposal will add a full-time LGBT+ Officer and a full-time Disabled students’ Officer – a progressive step that will once again put UCLU on the leading edge in terms of representational student unions. It will ensure that UCLU continues to operate as representative, campaigning and inherently political organisations that can improve conditions for students at UCL. At at time when Disabled Students’ Allowance is being cut, it is more important to have a full-time Disable Students’ Officer now than ever! This proposal is backed by UCLU Unicef Society, Fossil Free UCL, UCLU Green Party Society, UCLU Vegetarian Society and UCLU Socialist Society. If you wish to offer your societies support for this motion please let us know. This General Assembly will also be voting on a resolution to strengthen UCLU’s stance against UCL’s rent hikes – so that’s yet another reason to join the assembly!